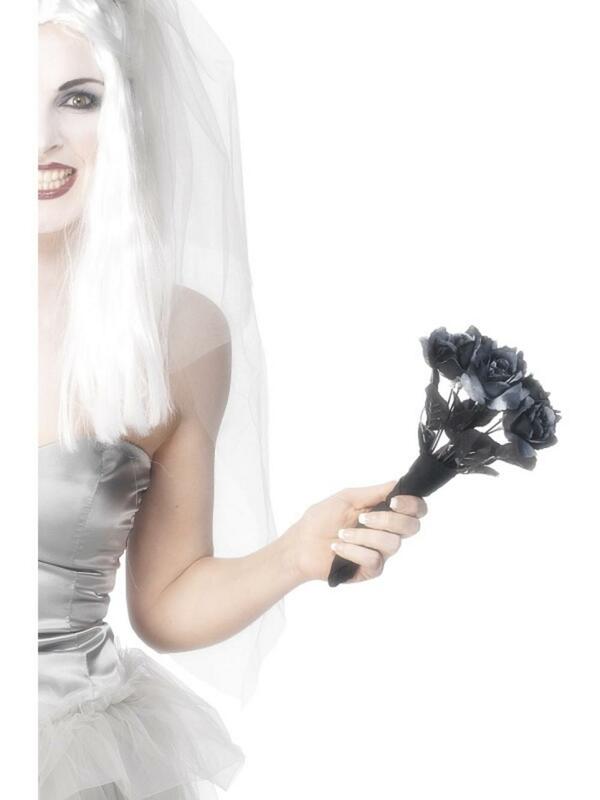 Tim Burton's popular film Corpse Bride gave us the wonderful living dead charcter Emily who roams the earth in her tarnished Wedding gown. 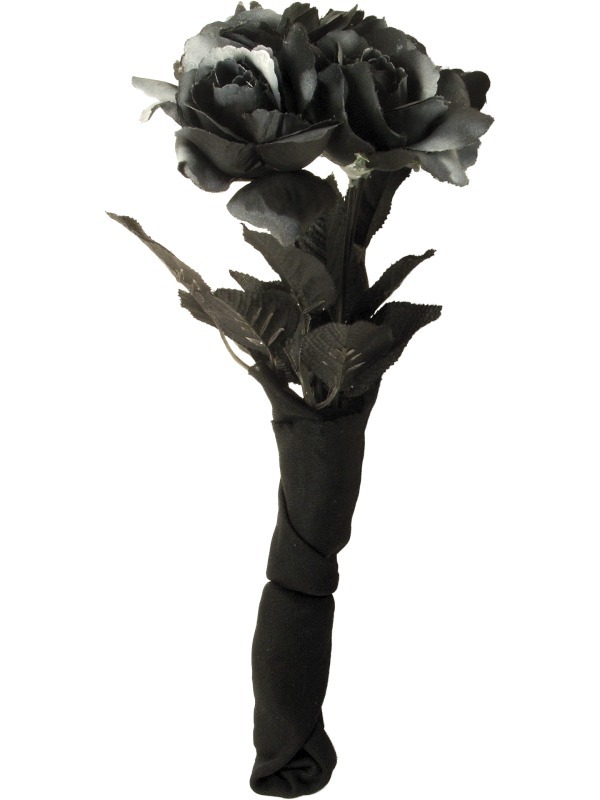 In the movie Emily clutches onto a bouquet of black flowers and now you can add our Bouquest of Faux Black Roses to finish off your Halloween fancy dress costume. Included is a bouquet of faux black roses made from delicate plastic, which has been shaped to look like a bunch of flowers. Perfect for finishing off your Halloween fancy dress costume.